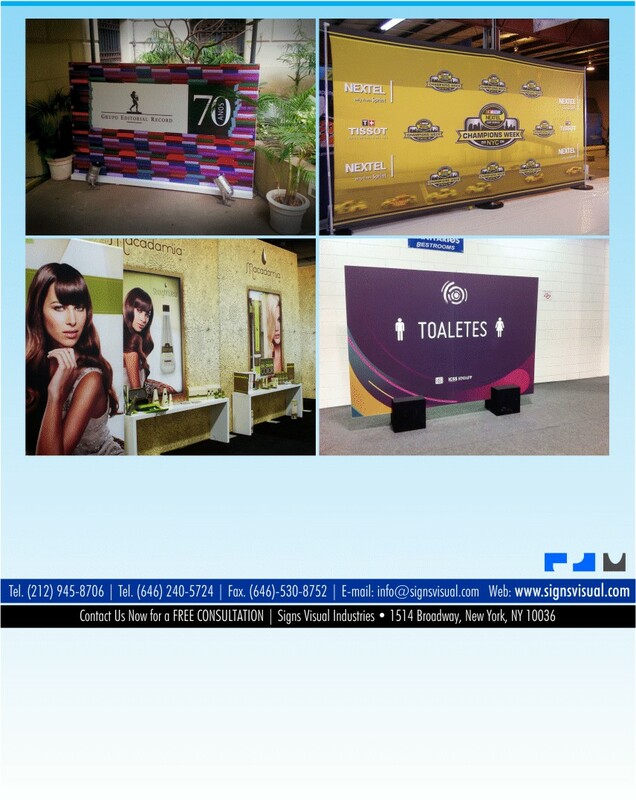 Signs Visual prints custom backdrop displays and backdrop graphics in New York, NY. Our custom backdrop signage are perfect for events, tradeshows, meetings, exhibitions, conferences, expositions, product launches, ceremonies, seminars, and more. We print them on a matte finish vinyl banner for anti-glare reduction when taking flash photography with attendees standing in front of the backdrop display. Contact us now for a free consultation on your next backdrop signage quote in NY!